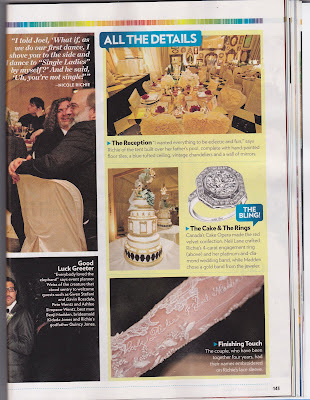 Here are some more beautiful pictures inside the Richie-Madden wedding from People magazine. 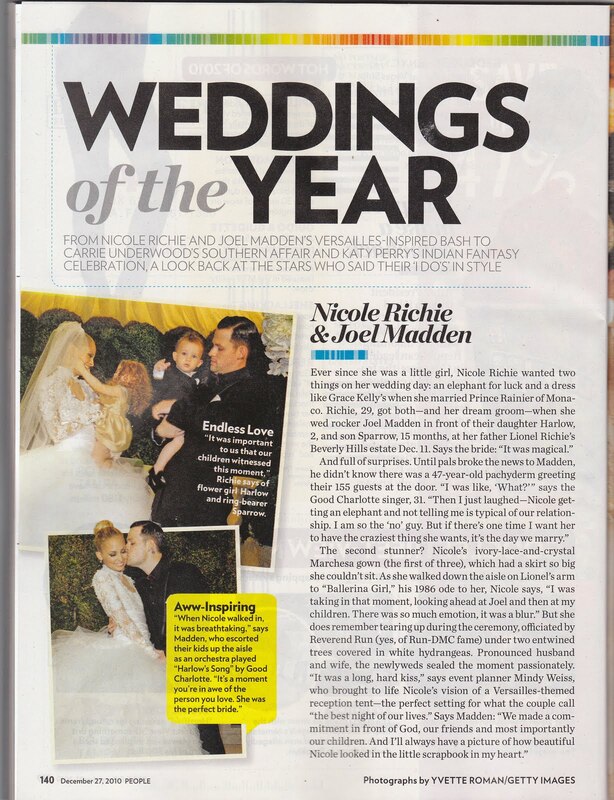 I just adore the embroided detail 'Nicole Richie & Joel Madden' on Nicole's Marchesa wedding gown, how cute! 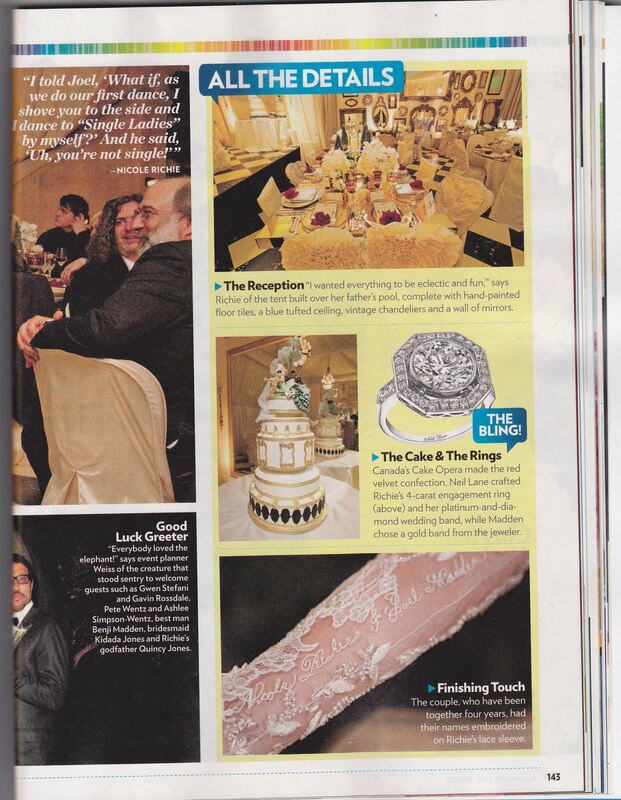 Thanks to IHeartNicole for these scans. <3 the embroided names! Such a great and romantic idea! 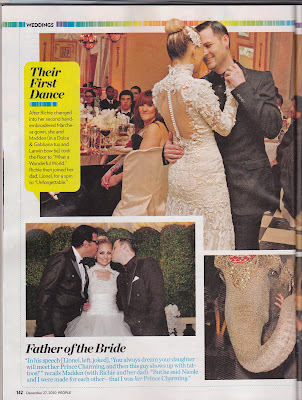 Just quietly, i'm pretty sure the dress Nicole wore for the fist dance is the same as the ceremony dress. just with the sash and tulle skirt removed. Not a whole new dress as People Magazine would have you believe. Though that said its still stunning!